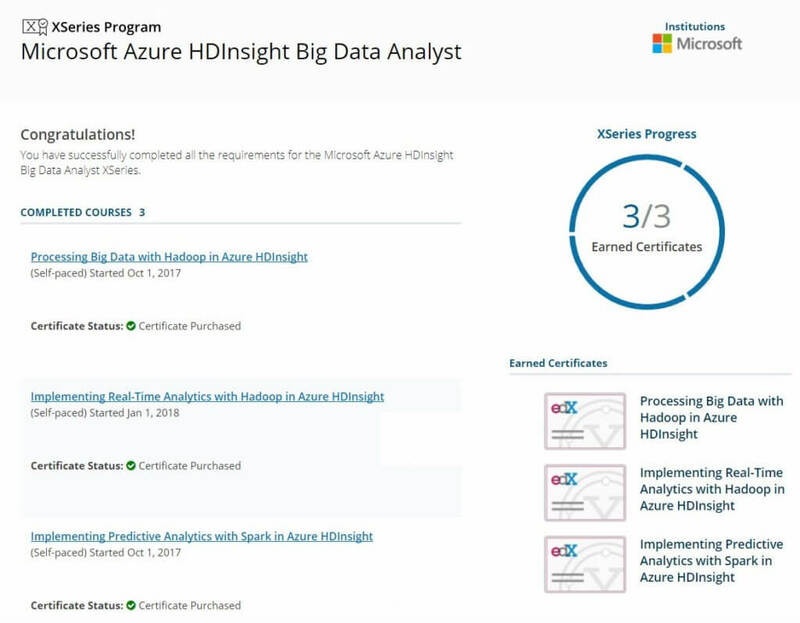 I’m learning more about Apache Storm which is used for stream processing for near-real-time analytics in Azure HDInsight. 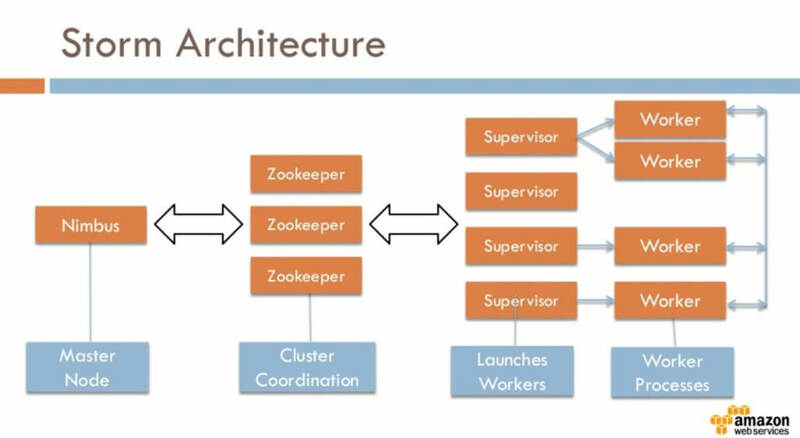 I grabbed the image above from an AWS presentation on slideshare (link). I got all giggly inside as I learned about Storm architecture. Why? 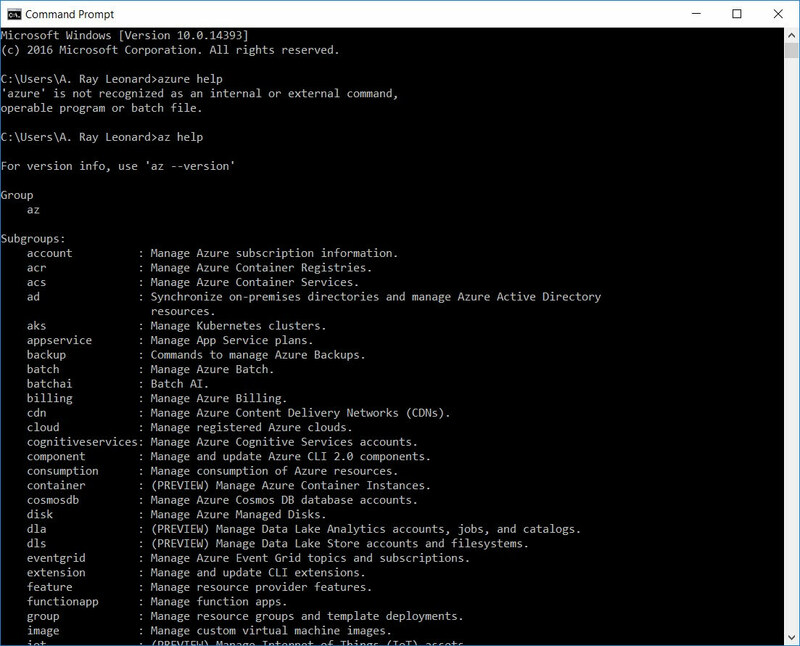 Because I built this much of this same functionality as part the DILM Suite and we implement many of these same SSIS Design Patterns (SSIS Framework Editions, Controllers, Application Restartability, etc.) when delivering data integration awesomeness to our Enterprise Data & Analytics consulting customers. It’s kinda cool to see similar architecture, patterns, and functionality in a completely separate toolset and environment. I find it… validating. It just goes to show you, architecture is architecture, regardless of the platform or tools. 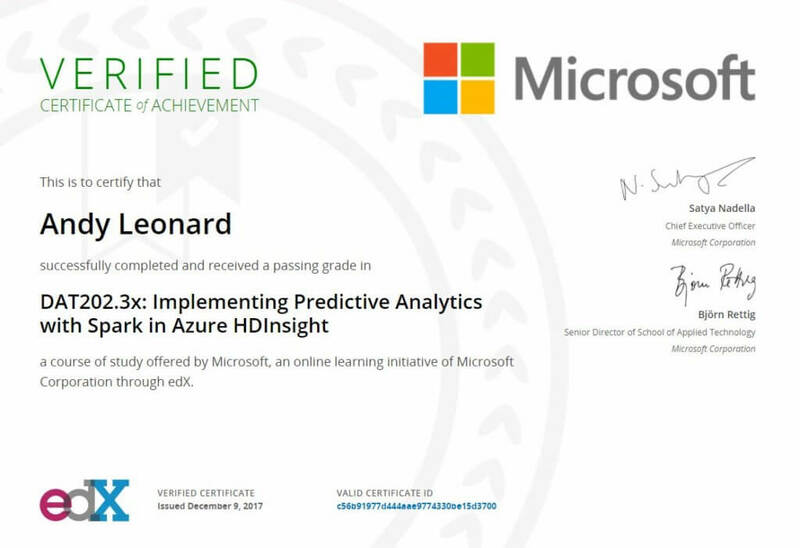 I learned a lot taking the course Implementing Predictive Analytics with Spark in Azure HDInsight! 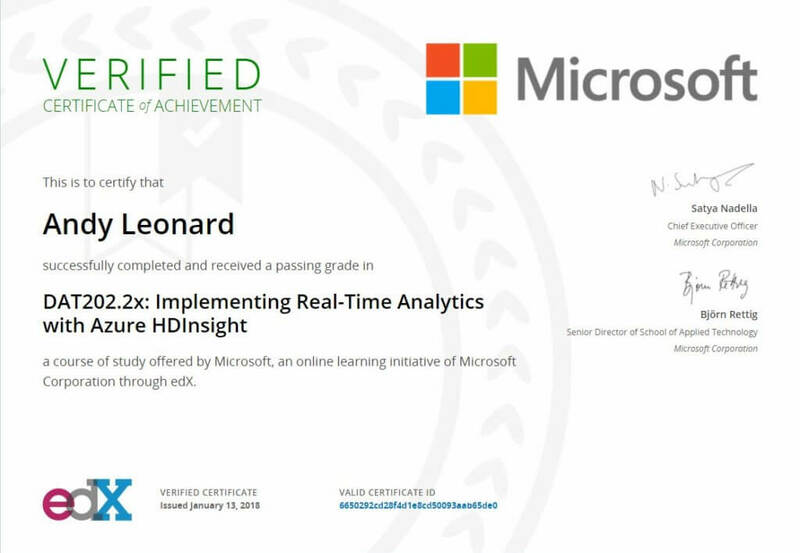 I’m slowly working my way through the Data Science Certification offered by Microsoft Virtual Academy along with edX. This course is not part of the official curriculum, but I’ve been wanting to learn more about Spark so I took it.